This wedding set, designed by one of our designers for her own wedding, is all about the details. 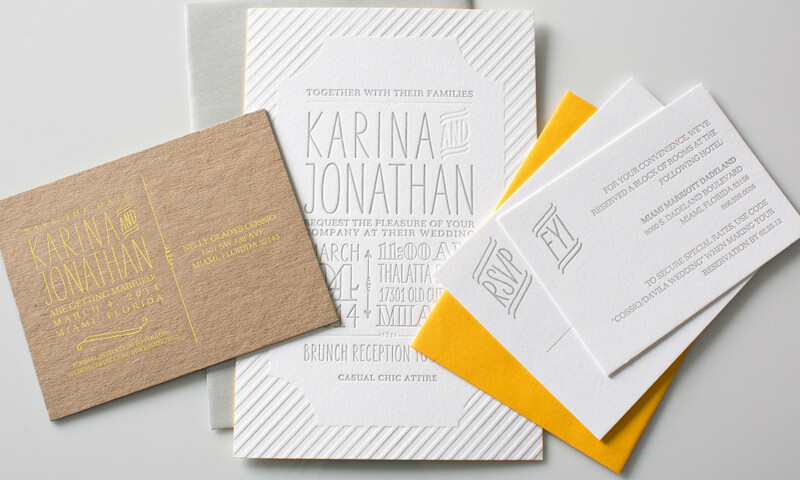 Letterpress printing, yellow edging and gorgeous typography turn this grey and white set into something special for the big day. 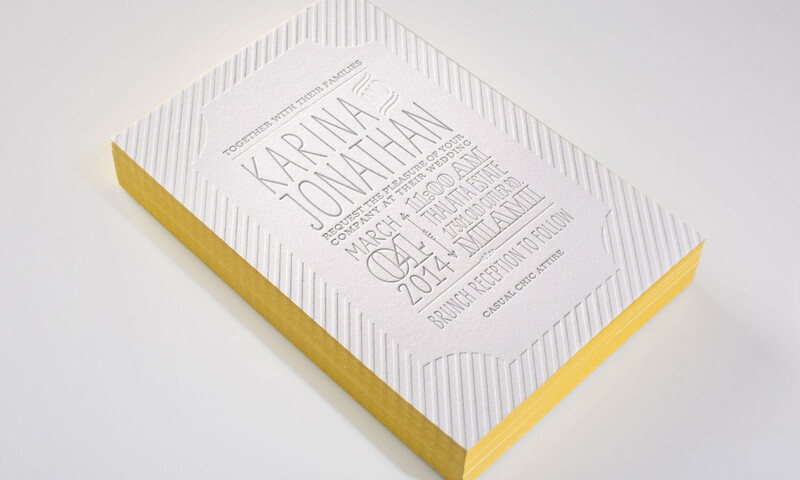 A save-the-date postcard is a casual preview to the invitation to come.